A majority of American voters elected President Barack Obama ( First Black President in History of U.S.A.). What then were the implications of his election, and by inclusion, His sidekick, Hillary R. Clinton ? Some maintain President Barack Obama “did not Do anything”. ( Not doing something is practically just the same as a “no answer”- a purposeful response in all instances. A “no action” is in itself an action if not by omission. Well anyway, most of us know plenty of not so good things still happened both at home and overseas during the Obama Presidency. The list is pretty long, too long for me to want to enumerate in any detail here. Whether any president could have prevented them or avoided them in-part is a theoretical (political) argument at this juncture. Former Republican Presidential Candidate Mitt Romney was an unpopular political novice with no real election experience going up against an experienced and capable incumbent politician and his Team. So, was the election of 2012 a fair match ? Obviously not. So, who get’s the blame for all the occurrences during President Obama’s watch? The responsibility for the election outcomes and results during this period fall squarely upon the shoulders of ALL adult Americans who voted and those who choose not to vote, as well. Thus, all Americans are equally culpable. Many will disagree, but who else can be blamed ? Certainly not the Russians or the North Koreans. We need to first look in the mirror at home to see the true answer here. Most Americans ( Middle Class) are passive and complacent, having been bought-off with inexpensive food and circuses. Nobody much pays attention or really cares enough to do something about it. We all lead “busy” lives. Until we (all) accept this one simple fact, little real change is possible in the long run. So far, no dice. The Trump years will quickly pass away and many will still be struggling with even more debt and taxes to pay for our collective unwillingness to face the truth. Who will we blame then (next) ? First, the co-conspirators must pay like never before, starting with Barack Obama, Robert Mueller and Rod Rosenstein. Second, hopefully eight years of a Trump presidency will go a long way toward draining the swamp, permanently. Third, when this scandal is exposed in its entirety, and the co-conspirators are brought to justice, hopefully the signal sent throughout government is “Never Again” . . . and the fear of God is sent through the wrongdoers and those who might be tempted to follow a similar path. This was a killer for Obama. He and Hillary were going to change places every four or eight years and Democrats were going to rule forever. Elections were planned to be eliminated and any dissatisfaction with the Constition were going to be eliminated. But because somebody dropped the ball and didn’t pull the trigger (guess who), TRUMP HAPPENED. But why? People talk about ideologies being the arguable determining factor. The days of The Round Table are long-gone. The Lust for Power! Nonsense. What is the single most important thing that gives everybody everything they want? Why are Comey, Clapper, Brennan, et al, appearing on television with the most outrageous statements confirming their complicity in the attempts to dislodge the presidency? Because they know they will be exonerated by new Congress members elected because they chose to rely on the Voters’ Fraud Machines. Entire trains of flat-bed cars are being videoed by tourists and local farmers as the brand new tanks and military vehicles wend their serpentine ways across the country. These have been seen for years. Where are the land confrontations that use brand new medium tanks? How close are these conflicts? Whose tanks are they? They began rolling on train flatcars when Obama was president. Why? FEMA camps have sprung up almost in every state in the country. Why? UN Troops and thousands of UN trucks stored in huge parking lots. What is the Holy Grail? Look how easy it is to convert a billion or a trillion dollars into cash! Only money provides whatever you wish to have and gives it to you instantly. One trillion dollars is 1,000 billions. Imagine how many people will join your crusade (or rebellion) for a billion dollars. It was reported that more than 7 trillion dollars is missing from the Pentagon. A proud white American who has black relatives and love them just as much as my own son and with them, do not see skin color but loved ones. So Mr. Obama, you are full of it!! 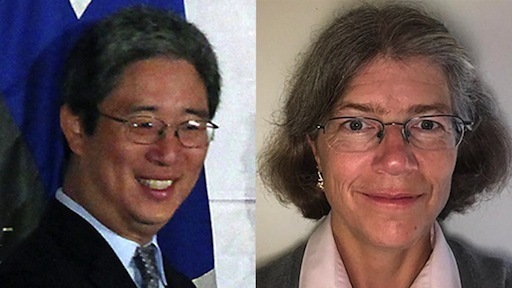 • Bruce Ohr was the #4 person at the DOJ. • There was a massive conspiracy involving the FBI, DOJ and the entire U.S. intelligence community to perpetrate a hoax that Russia had meddled in our 2016 elections—in collusion with Donald Trump—in an effort to elect Trump as President. • There was a vigorous effort by the U.S. government to get the dossier—which was prepared and allegedly gave the details of this collusion—out in public before the election. • James Comey was the front person of the entire conspiracy. Ohr and his wife worked together; she worked for Fusion GPS, and is fluent in Russian. • Did Barack Obama know all about it? For those who may have forgotten, Bonnie Parker and Clyde Barrow were notorious Depression-era robbers who were ambushed and killed; and the Rosenbergs were U.S. citizens who spied for the Soviet Union and were tried, convicted, and executed. Similar fates should befall those who conspired to destroy the candidacy and/or presidency of Donald Trump. Secretary of State Mike Pompeo certainly hit the John Kerry question out of the park. This occurred at a State Department briefing Friday, when a reporter asked about President Trump’s use of the word “illegal” to describe Mr. Kerry’s meetings with his Iranian counterpart. Mr. Pompeo said he would leave the legal determination to others, and then . . . whammo. 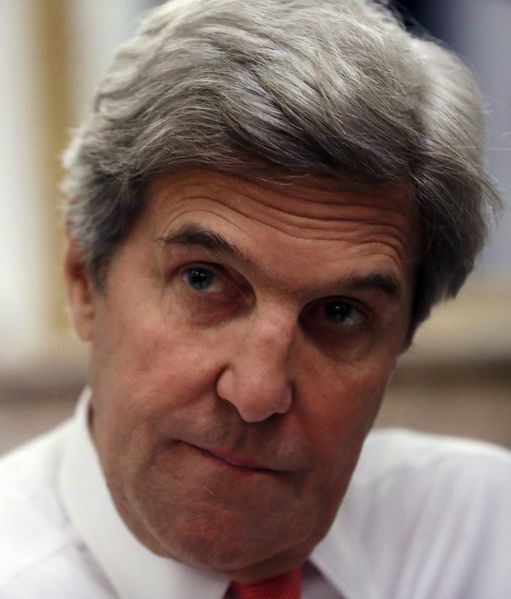 “Secretary Kerry ought not to engage in that kind of behavior,” he said. It is, he pointed out, “inconsistent” with “what foreign policy of the United States is as directed by this president,” a reference to Mr. Trump. “And it is beyond inappropriate for him to be engaged in this.” Plus, too, he pointed out that Iran had just fired Katusha rockets at our embassy in Baghdad and our consulate at Basra. We mark the point because it is important that the kind of thing Mr. Kerry has been doing not be normalized. The former secretary has certainly been trying to normalize it as he makes the rounds promoting his new memoir, “Every Day is Extra.” The other night on Bill Maher’s show “Real Time,” Mr. Kerry tried to liken his meetings with our Iranian foes to Henry Kissinger’s travels. “Henry Kissinger for 40 years has been traveling to Russia, traveling to China, talking to their leaders,” Mr. Kerry told the comic. “There’s absolutely nothing to unusual about it.” What a slimey attempt at self-justification. There have been no reports of Mr. Kissinger actively trying to undermine the foreign policy of any of his successors. Not even, in our experience, when he’s met with journalists. So hat’s off to Mr. Pompeo for backing up President Trump in marking what Mr. Kerry is doing for what it is. The way to deal with foreign policy differences in our American system is not to treat with our enemies. It is to take our differences to the hustings and reason them out with the American people. That’s precisely what Mr. Trump did in respect of Iran in the 2016 election, which is the rock on which our foreign policy rests. John Kerry has always been slimey since he claimed to be a Vietnam hero, and turned against the United States. His transfer of plane loads of American dollars to Iran sealed Kerry’s reputation as part of the treasonous and lawless Obama administration. The list of President Trump’s enemies is long and all-encompassing: from Russian dossier author Christopher Steele to FBI cutthroat Peter Strzok to ambitious Senator Cory Booker – and the authors of the latest bombshell book about the president lay bare the lengths those who revile him have gone to undermine and destroy the president. Few in the anti-Trump camp are spared in the authors’ condemnation of those who tried to thwart Trump’s election to the presidency and denigrate his accomplishments since – including former president Obama. Unwittingly, Lewandowski had a hand in the whole episode that ultimately helped Reince Priebus get the job as Trump’s first chief of staff. Corey assumed the meeting he set up would be relatively predictable—one between Joe Scarborough, Mika Brzezinski, the daytime news talk show hosts, and Donald in Trump Tower. Oddly enough, Scarborough had never met Steve Bannon and wanted to come in to see him and the president-elect so he could offer his advice. Corey couldn’t have guessed how consequential those few minutes would be. During the meeting, Joe and Mika lobbied for Reince to become the chief of staff. They had also decided that Bannon would be much more effective if he took a role as some kind of senior advisor or senior strategist rather than the chief of staff position. 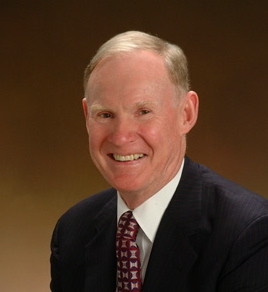 We were as surprised as anyone that Steve was even willing to listen to their advice, given his avowed hatred for anyone who makes their living by being on television between the hours of six o’clock and noon on weekday mornings. For Steve, having the approval of those media types was about as meaningful as a participation trophy. And yet, somehow, when that meeting was over, the structure of the Trump White House changed. Joe and Mika helped convince the president-elect that Priebus should be the chief of staff, bringing along most of his team from the Republican National Committee. Steve Bannon would go into the building with the title ‘Chief Strategist’ with a staff of one, refusing even to hire a secretary. From the beginning, the boss had wanted Kellyanne Conway to play a major role in the communications department. But she had turned him down. Not unreasonably, Kellyanne believed that she would be able to serve the president better as counselor—a role that would allow her to have more input on policy and the general direction of the administration. On that point, she was correct. After Kellyanne, the president’s favorites were Kimberly Guilfoyle, Laura Ingraham, or Monica Crowley, any of whom would have been quite a capable choice. You won’t hear the media report that, of course, because it would disrupt their image of Trump as someone who doesn’t respect strong women. Somehow all of these recommendations got lost in the shuffle. Reince entertained them, but it was clear he never really took them seriously. He wanted his people in key positions and his pick was Sean Spicer. As stated in my article above, and in the extensive footnotes and comments beneath it, at the “head of the snake” is Barack Obama who allowed the Clintons’ lawlessness to destroy his presidency, reputation and place in history. The Clintons would not have gotten away with what they have unless Obama had “looked the other way”—and ultimately became complicit in their treason and other criminality. On some level, it is likely that he wishes that he had never met them, much less allowed them to engage in their multi-faceted crimes during his presidency. In a very real sense, he became an active co-conspirator. None of this is surprising in the least, inasmuch as he became a strident, un-American black racist at a very young age. Perhaps the “800-pound gorilla” in the room is Robert Mueller, who has committed more crimes than anyone, and deserves the ultimate punishment.